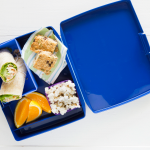 Sushi lovers will adore this lunchbox treat! These simple sushi sandwiches have become phenomenally popular in Japan over the last few years, particularly for packed lunches. 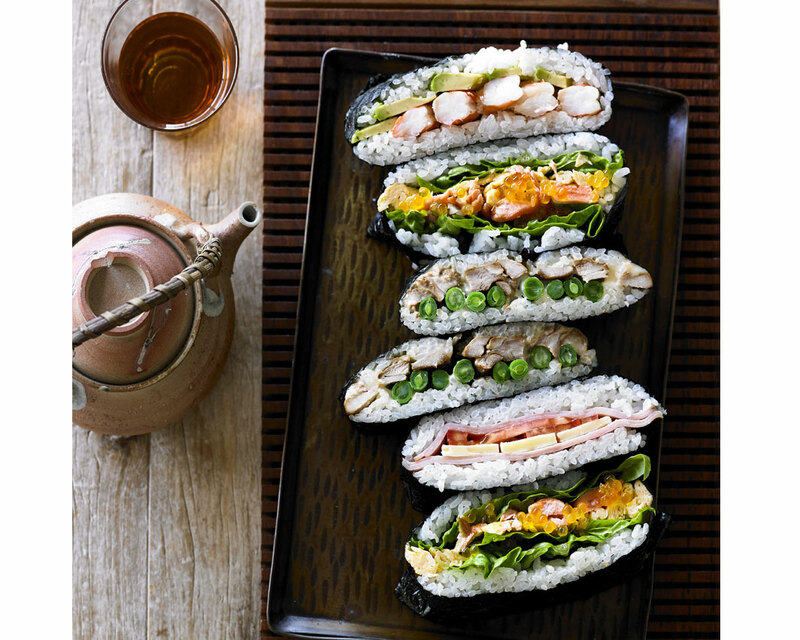 Known in Japan as ‘Onigirazu’ they’re very simple to make, they don’t need to be made with vinegared sushi rice (although you can use it if you like), and they’re just as at popular with Western sandwich fillings as they are with sushi-style fillings. Give them a try! Place a sheet of nori on a piece of plastic wrap on a cutting board with the shiny side facing down. Spread ½ cup rice in a 10cm square at 45 degrees to the nori. Top the rice square with your choice of filling and cover with the remaining ½ cup rice. Fold the corners of the nori sheet into the centre to create a square with the filling inside. Gather the plastic wrap around the sandwich and leave wrapped for at least 10 minutes for the seaweed to soften and stick to the rice. This will help hold the sandwich together. Use a sharp knife moistened with a little cold water to slice through the centre of the sandwich to reveal the filling, and serve. Tip: Don’t keep these sandwiches in the fridge. Eat them straight away or pack them in plastic wrap or foil at room temperature to eat later. 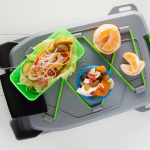 Like this fun lunchbox idea? Check our Adam’s other fun recipe – fruit sandwiches! 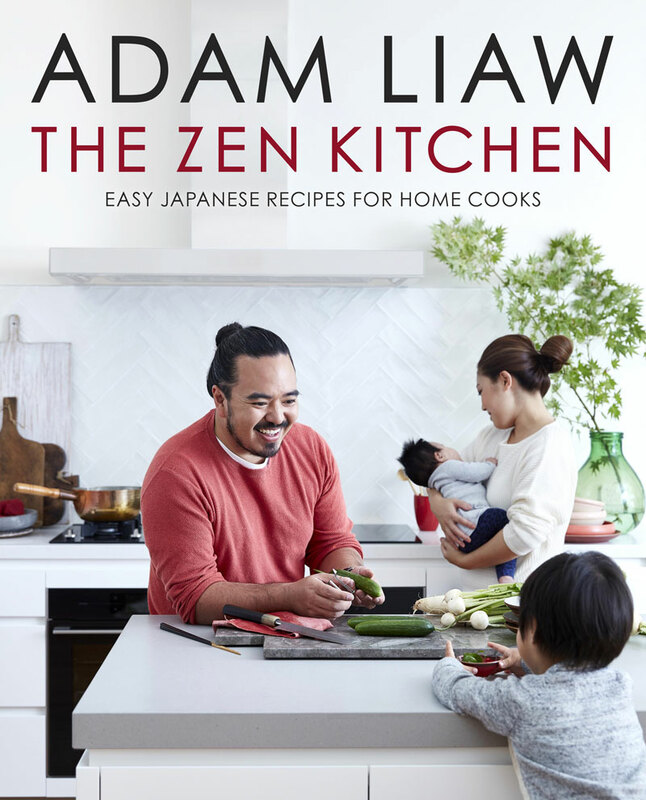 This recipe features in and is from The Zen Kitchen by Adam Liaw and is published by Hachette Australia, $49.99, available now in all good bookstores nationally and online. 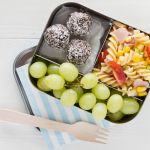 This tasty lunch will have budding scientists breezing through the school day.